This special issue, guest-edited by Zachary Manfredi, rethinks the theoretical basis and practical potential of human rights across the fields of history, law, political theory, anthropology, philosophy, and architecture. These essays add nuance and depth to our understanding of human rights as a political language, normative theory, and social practice. Contributors include Megan Alvarado Saggese, Antony Anghie, Seyla Benhabib, Pheng Cheah, Jesse Cordes Selbin, Nikita Dhawan, Didier Fassin, Jason Frank, Claude Lefort, Zachary Manfredi, Christopher Patrick Miller, Samuel Moyn, Emily O’Rourke, Genevieve Renard Painter, and Eyal Weizman. 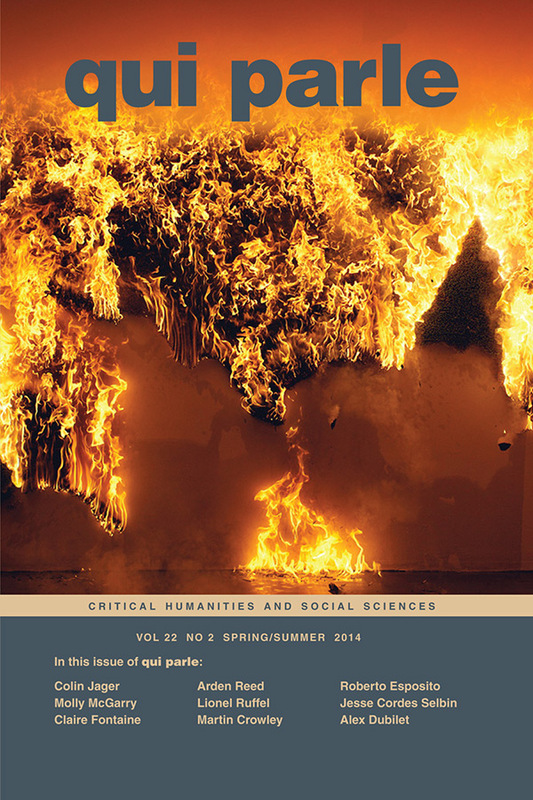 View the table of contents for Qui Parle 22:2, at the journal's online site.